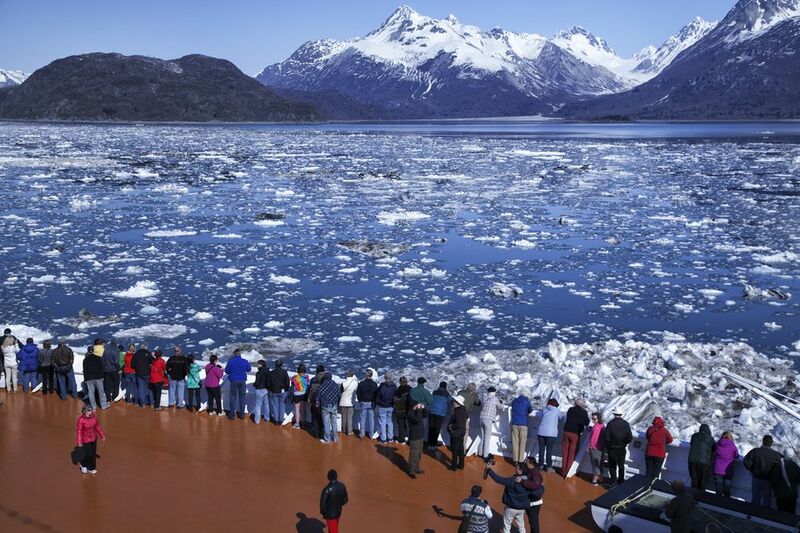 Alaska’s national parks are getting even more popular. Last year set a record for the numbers of visits to Alaska’s national park sites, with their breathtaking tundra, craggy mountains and gorgeous lakes. National Park Service visitation in the Last Frontier topped 2.9 million visits in 2018, according to numbers the agency recently released. That’s the highest number of visits ever recorded for the state, and up from roughly 2.7 million in 2014. Klondike Gold Rush National Historic Park in cruise tourist-heavy Skagway had the most visits in the state last year, and was the only national park site in Alaska to top 1 million visits. Aniakchak National Monument and Preserve, a remote volcano crater park site on the Alaska Peninsula, had the fewest, with 100 visits. 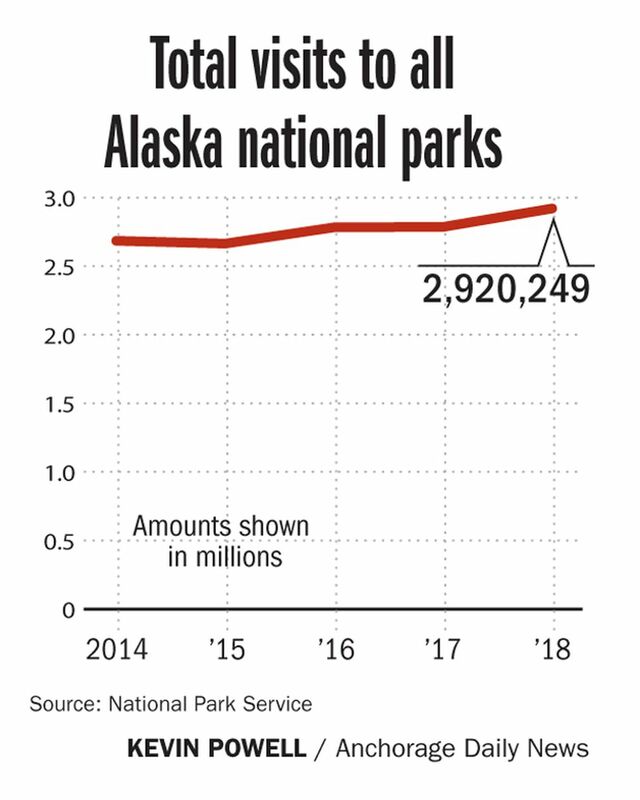 Of a little more than a dozen national park units in Alaska, eight saw an increase in visitors last year. A booming cruise industry bringing more and more passengers to the state in recent years is one big reason: Some of the most-visited parks coincide with cruise destinations. That’s what drove an increase of more than 100,000 visits to the Klondike Gold Rush site last year. 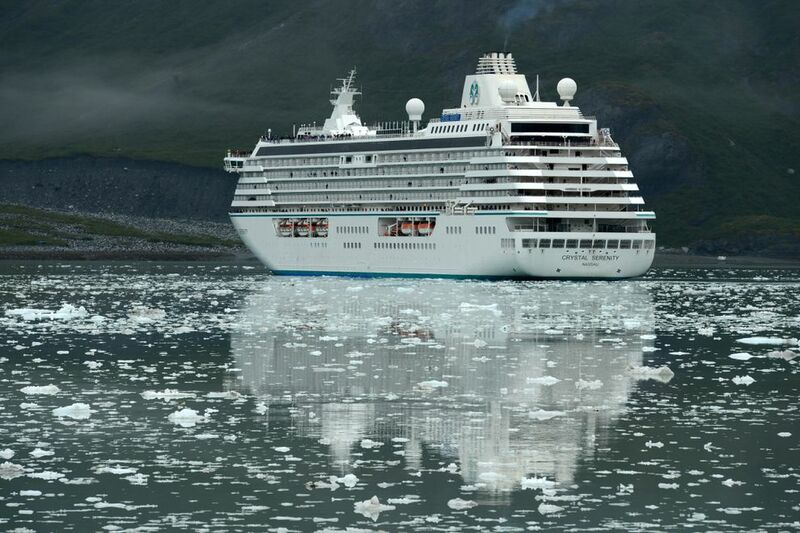 “Just a few extra visits by cruise ships can change their numbers dramatically,” said Peter Christian, a spokesman for the Alaska region of the National Park Service. Growth isn’t uncommon for national park visits. “We regularly have record-setting years,” said Megan Richotte, a program manager for interpretation and education at Lake Clark National Park and Preserve. There were more than 318 million visits to national parks in the U.S. in 2018, the third highest number on record, according to the National Park Service. Alaska has the highest rate of outdoor participation in the U.S. overall, tied with Montana, according to a report out this month prepared by the University of Alaska Center for Economic Development. People spend nearly $3.2 billion on outdoor recreation trips each year in Alaska. That report took into consideration both Alaska residents and people visiting the state. Tourism to Alaska overall has been growing in recent years. 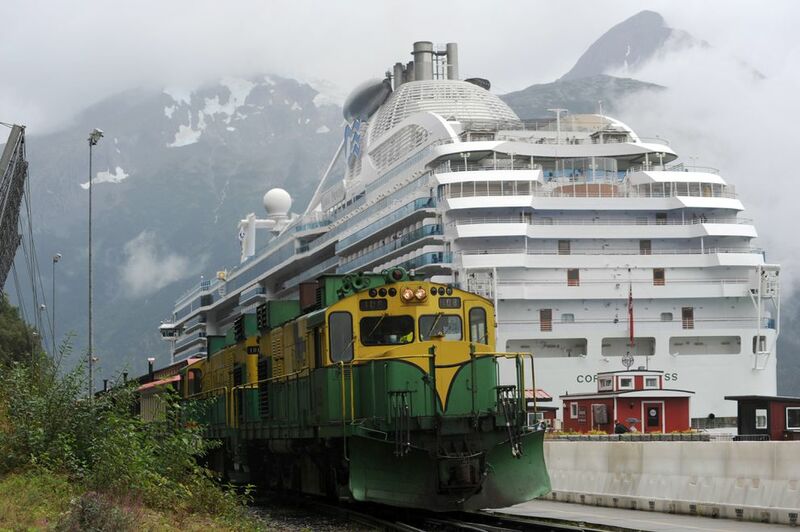 The number of travelers who come to Alaska via cruise ship has been on the rise since 2014, and cruise ship tourism is expected to grow again this year. 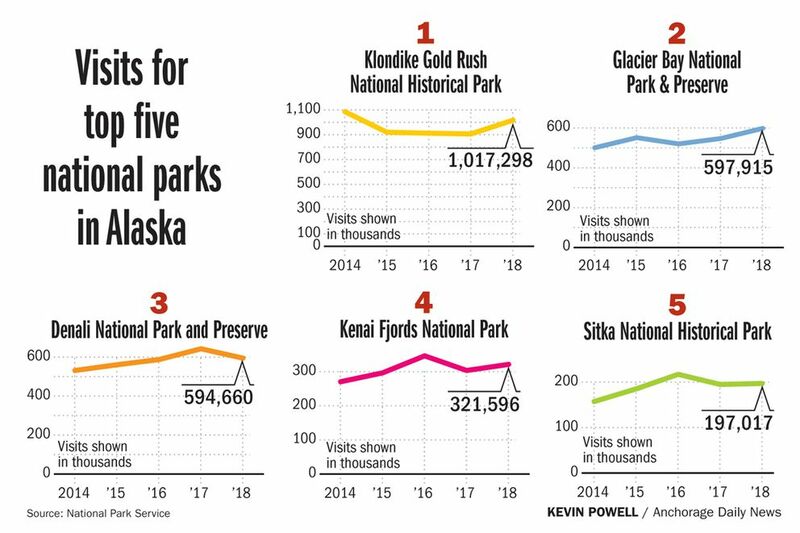 Denali National Park and Preserve was one site that saw a decline last year. Visits were down from 642,809 in 2017 to 594,660 in 2018. 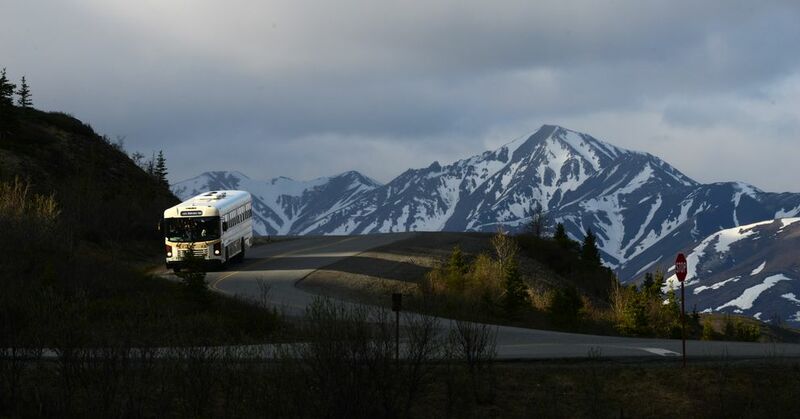 Fluctuation over the last few years at Denali has been normal, Richotte said, and the change in either direction is usually related to commercial trip bookings. “We’re talking about big package tours, and whether there were a few more buses that were booked, or a few fewer,” she said. 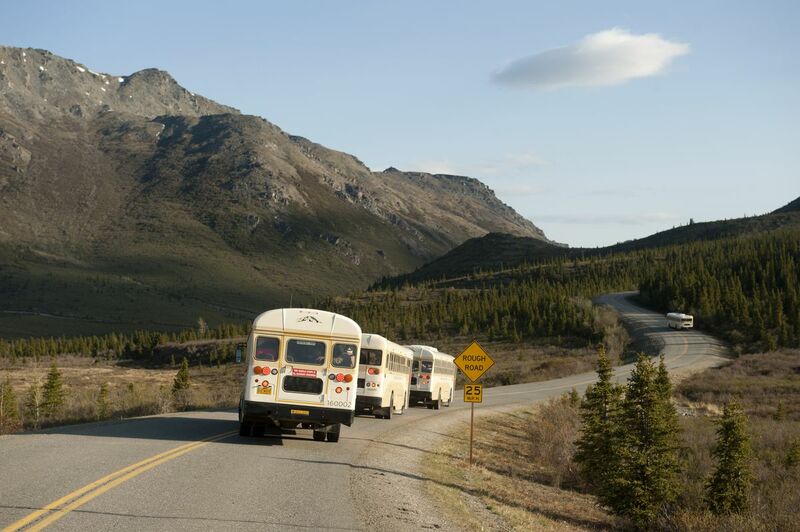 In Alaska parks on the road system and in the rest of the country, the tallies generally come from visitor centers and rangers counting heads. For Alaska park sites off the road system, tracking visits is trickier. The National Park Service uses data from commercial operators and local reporting to make rough estimates for more remote destinations in Alaska. The numbers for remote Aniakchak reflect that: Data show 100 visitors at that site every year for the last three years. Correction: An earlier version of this article incorrectly attributed information about Alaska’s rate of outdoor participation to a report from Anchorage research firm the McDowell Group. The report was prepared by the University of Alaska Center for Economic Development.